What’s the best way to build your microbiome, your gut bacteria? What’s the best way to build diversity in your gut bacteria? Your food is your medicine. Here a few really fun to eat and fun to make medicinal recipes to build your those friendly gut bacteria and boost your immune system without costly, ineffective probiotics all grown from basically the same strain of Lactobacillus. Have fun with these recipes. Tweak them and enjoy!! The flavonoids in chocolate are a healthy treat. You can indulge in this amazing superfood and feel good about giving this dessert to your kids while simultaneously feeding your good gut bacteria. Bake for 30 minutes or until a toothpick inserted comes out clean. Seeds are a great source of fiber. Eating a variety of seeds is easy as sprinkling them into your oatmeal, salads, cooked veggies or yogurt. This easy sauce makes everything taste scrumptious. Blend all ingredients in the blender and ENJOY! Your microbiome thrive on fiber and this delicious popcorn gives you plenty! Naked Popcorn with vitamins, minerals and even more fiber all which boost those healthy bugs within. Experiment with your own mix and match toppings. Please do avoid the microwave popcorn. Organic corn kernels are very inexpensive and you can either use a popcorn maker or large pot. Start your day with green veggies and hemp protein powder your gut will thank you. This easy smoothie recipe can be modified with season fruit such as pears and peaches. Frozen organic mangos or frozen blueberries are also a great choice. Mix and match as you like and seasonal fruit permits. The simplest form of sauerkraut is just cabbage and salt, which is where we start in this recipe. Once the salt is added, simply massage with clean hands for 10 minutes or until the cabbage has reduced quite a bit in size and released quite a bit of liquid at the base of the bowl. Now, add some color and flavor. I like shredded carrots and beets, which provide a vibrant orange-magenta hue. Next come fresh minced garlic and fresh grated ginger and turmeric for big flavor. The result is a perfectly salted fresh vegetable sauerkraut infused with zesty garlic and ginger and earthy turmeric. Mix again to incorporate and you’ve practically made sauerkraut! Mix again to incorporate and you’ve practically made sauerkraut!pack. Pack into sterilized glass jars and ensure the liquid extracted from all that massaging rises up and covers the kraut for optimum fermentation. Then leave it alone to do its thing. Set it on the counter out of direct sunlight or in a cabinet for 1-14 days (or longer) to let it naturally ferment. This recipe will have a tangy, fresh, garlicky, delicious crunchy taste. Directions: Peel and slice jicama into thin slices. Spread out on top of parchment paper on a cookie sheet. Season to taste. Coat chips with organic coconut cooking spray. Place in oven at 400° F for approximately 25-30 minutes, or until crisp. Enjoy with your favorite low-calorie dip! Directions: Mix together in large bowl and then store in an airtight glass container. Keep in a refrigerator for maximum freshness. We have all experienced it or know someone who has been fighting off this year’s flu. Officially called “Influenza A” and/or “Influenza B”, harmless sounding names. Yet, this is by far the worst flu we have ever seen. It reminds me of Dr. Seuss naming “Thing 1” and “Thing 2”. Harmless names, yet they destroy your house in about a minute. I personally have been spared with a few mild symptoms that I immediately abate using the items on “THE LIST” below. My patients and family members have not all shared in my fortune. I’ve been taking care of many patients for weeks, and many have lingering symptoms, especially that nasty asthmatic type cough. I now have an entire arsenal of flu fighters in my kitchen. Beyond, the personal experiences, I belong to a number of online groups of various health professionals. The remedies and stories from these posts have broadened my treatments and opened my eyes to everything food and drinks, herbal combinations, essential oils and more. I have to admit, I’ve been a little addicted to reading the stories of ravaged flu patients and what’s working and what isn’t. I decided to combine the hundreds of postings into “THE LIST” of what’s working in the Alternative & Natural Health care community for this years flu bug. It helped me and I hope it will help you too. This post would be a book if I went into all the benefits, actions and studies on each of the remedies below. Suffice to say, they WORK! Some items have references. Everything on “THE LIST” is supported by both research and hundreds of real life use in the past and in the last 6 weeks. These are some of the best remedies for this years flu. Thank you to all of my fellow practitioners for sharing your stories and natural cures. Note, you can’t possibly take all of items on THE LIST all at once. However, the foods can and probably should be eaten daily. Choose a couple from the categories and your body will thank you. Remember, when buying any vitamin supplement or herb, quality is key. Iif you’re not getting an immediate benefit, it may be the brand. This is especially important with Echinacea and Elderberry, but true for all. Do your research and buy the highest quality possible, or don’t buy it. OK, let’s dive into THE LIST! Let’s start with the preventative list. The old saying; “Prevention is worth a pound of cure”. The foods and herbs listed are definitely ones to take all winter as this flu will morph and will find those with the weakest immunity. Clean your cell phone. Be a little germaphobe and get some Thieves Oil spray for your hands and phone. Use often. Garlic – garlic raw – garlic cooked – 4 or more cloves daily. Why skimp?Boil it and make tea, add to every food, shred, dice, chop, chew, shave, just eat it daily. Kimchi- Sauerkraut – fermented veggies – brined pickles. Vitamin A – Vitamin K also necessary to absorb Vit D.
Echinacea tincture– should have a little tongue numbing quality otherwise toss it. Stop pretending you should do everything you do in the summer. It’s winter, slow down. Stay warm. Hibernate a little. Wear a scarf. Most colds/flu start at the base of the neck,occiput. Vitamin C – 5000 mg or more daily. Lypospheric Vitamin C is a good option. Great Tea: turmeric, reishi, ginger, pinch of black pepper and honey to taste. Garlic, lemon, honey tea. 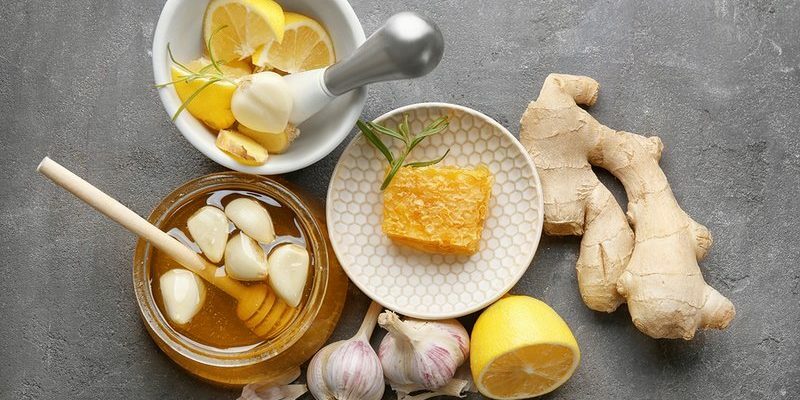 Make yourself real garlic cloves, real lemon, raw honey. Fire Cider: ginger, turmeric, garlic, onion, thai peppers, horseradish root, peppercorns, citrus and rosemary all infused in apple cider vinegar. Take shots often. Chicken Soup – homemade is best. Be conscious of the “Militant Metaphors” as Susan Sontag describes these phrases. Some metaphors make the experience of illness worse. Consider illness as a reset time. It can be a time of reflection and contrast to better appreciate our wellness. Hot showers or baths daily. Get water hot enough to raise the body temperature and burn the critters. Epson salt in the bath, of course. Stay warm with extra clothing layers. Electrolyte drinks or add liquid mineral drops to any drink. Head over steaming water pot with mint essential oils, lavender, or whatever you have that you love. 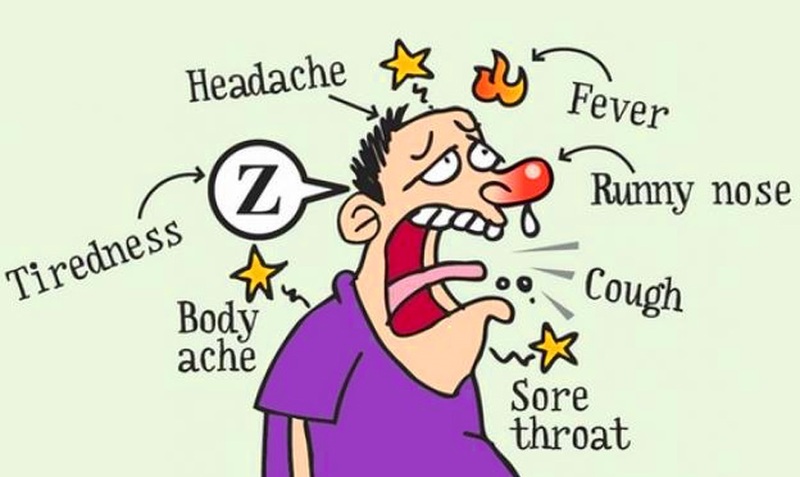 Chinese herbs for cough are tricky and very specific so check with a Licensed Acupuncturist trained in Chinese herbs for the right herbs for your cough. This list is not intended to be ALL inclusive of what may help you. This is simply a list of what my health practitioner community has been finding extremely helpful during this 2018 bout of flu. What else: The common sense things like wash bed sheets and wipe down surfaces, door knobs and cell phones. Wash your hands a lot and drink a lot of fluids to wash away all the dead viruses you killed using the items on the list above. A little bit of winter sun bathing from a warm car may be a nice reprieve from the bed and the couch. Stay healthy and we will all ride out these pesky viruses getting stronger together. You may have noticed the flu vaccine is not on The List. The research is profoundly lacking and the virus mutates so quickly. More information in this excellent article. Chinese herbs for Americans that are convenient, taste great and have less packaging. Less packaging is not just environmentally friendly but extremely important to Pacific Herbs. Small packets are used rather than plastic bottles and boxes, or heavy glass jars. Pacific Herbs packets are friendly to the environment especially compared to plastic bottles that can take 500 years to decompose in a landfill. 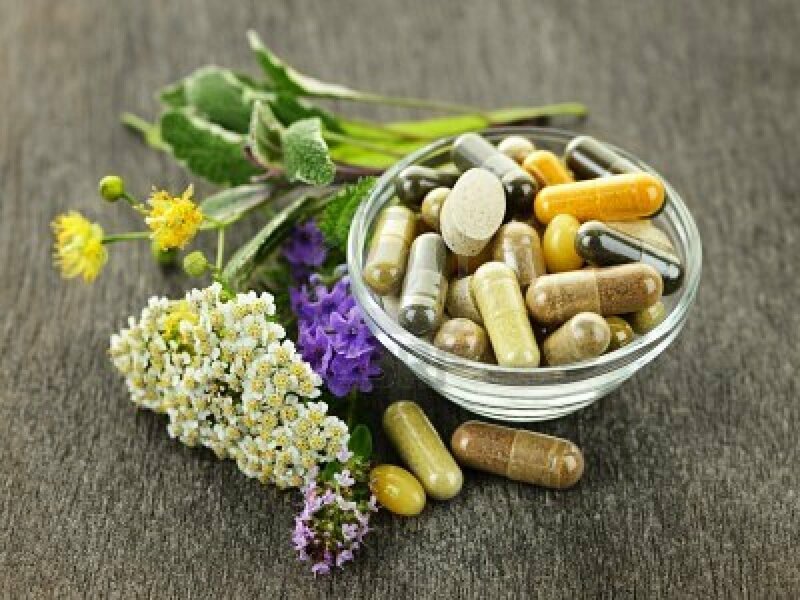 Most supplement companies and Chinese herb products package their products in capsules full of fillers and use excessive amounts of packaging such as a bottle inside a box. This is simply not environmentally friendly packaging. Companies that make consumer products today should understand the cost of producing excess packaging materials but also the cost to the environment. Pacific Herbs does not even use capsules for their concentrated herbal granules. No capsules means no unnecessary fillers! Not just good for the environment but also great for our bodies. Often times the fillers used in supplement products today have detrimental side-effects on the body. Nobody really knows because nobody is testing the fillers and how they effect our body. Pacific Herbs uses Traditional Chinese herbal formulas (recipes) that were written down hundreds of years ago. These time tested herb combinations have hundreds of years of continual use. 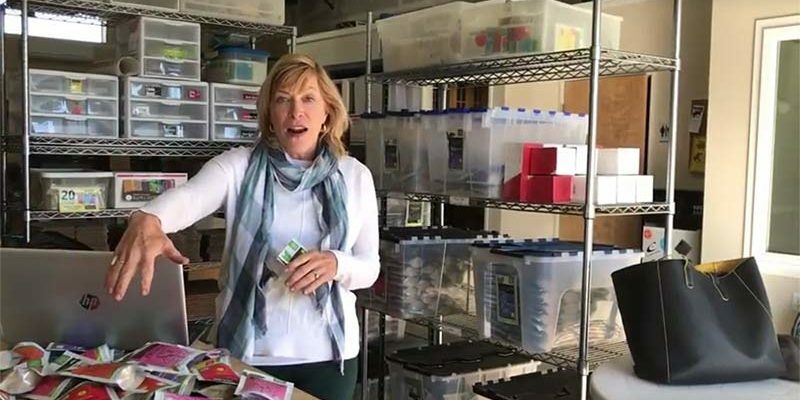 Pacific Herbs makes products for menopause symptom relief, pain relief, a natural herbal sleep aid, PMS relief, a stress relief herbal mix and more. Find all Pacific Herb products here. I hope you are having a fantastic start to the New Year! Just a quick note to tell our FREE marketing cards are back in stock. Pacific Herbs marketing materials are always free. Corydalis Pain Relief Herb Pack, marketing cards are also back in stock. If you have been waiting or need any more to replenish your supply please call or email and we will send them to you today. Also available, a heavy duty acrylic stand that fits four marketing cards in a small space. Grab it here. 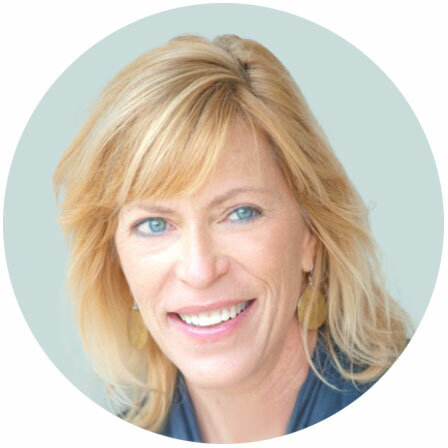 Our goal is to help your acupuncture or holistic wellness practice with professional products that you can trust. Chocolate can be irresistible! Isn’t it ironic that chocolate has come to symbolize Valentine’s Day, a day we celebrate the heart, and chocolate is surprisingly beneficial for our hearts? 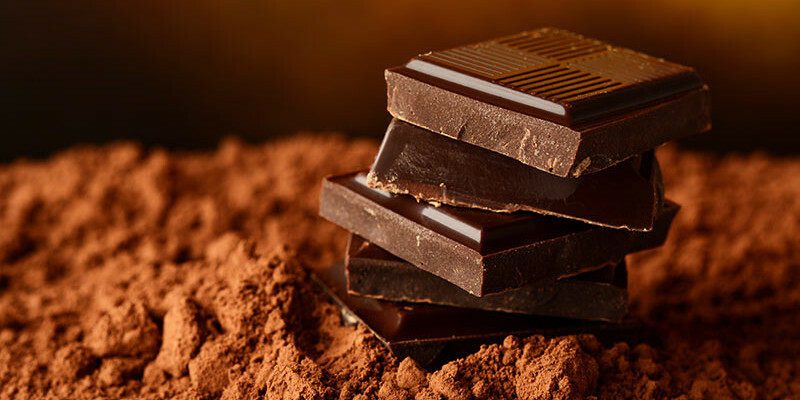 You may have heard studies say dark chocolate has flavanol which has attracted major interest as a non pharmaceutical option for high blood pressure. The cacao bean (the source of all chocolate) is a natural remedy which has been used since ancient times for it’s health benefits. Only in recent years do we have the scientific research to support what so many people knew through the ages. Native Aztec and Mayan people ate cacao nibs to relieve depression, help with asthma and some say they used it as a powerful aphrodisiac. Chocoholic’s worldwide can rejoice now that studies prove the effects on lowering blood pressure and the beneficial antioxidants cacao contains. 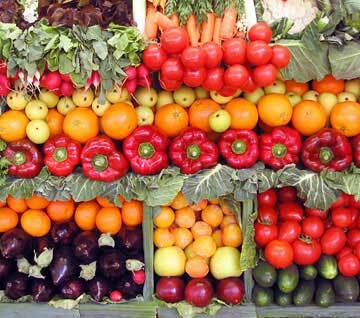 In fact, greater antioxidant capacity than red wine and blueberries, walnuts or artichokes according to the USDA. The polyphenol known as flavanols in cocoa can help promote dilation of blood vessels and thereby reduce hypertension. The Cochrane International database after investigating the effect of chocolate or cocoa on systolic an diastolic blood pressure concluded that chocolate faired better than a placebo at lowering blood pressure. The best cacao is that which is minimally processed, therefore retaining the nutritional power which can be diminished through heat and processing. As with Chinese herbs, chocolate is best unadulterated. The fewer the fillers the better. Steer clear of milk chocolate and white chocolates. P.S. Cocoa butter doesn’t increase blood cholesterol, so eat up. 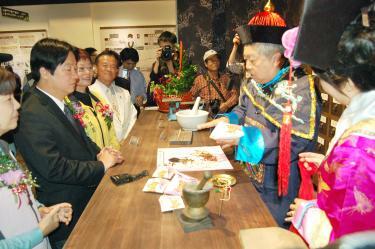 A New Chinese Herb Factory in Taiwan, Taiwan is gaining popularity with tourists. Greater Tainan Mayor William Lai, second left, listens on Sunday to a man telling the story of traditional Chinese medicine at a tourist factory that opened in the Guantian District’s Industrial Park. Herbal medicine is for everyday life, not just for sickness, staff at a Chinese medicinal herb tourist factory said as it opened in Greater Tainan’s Guantian District Industrial Area on Sunday. Tainan Mayor William Lai said Taiwanese are health-conscious and understand that taking medicinal herbs, even when healthy, is good for the body as a whole. The Tian Yi factory combines relaxation, food and Chinese medicinal knowledge, specializing in knowledge of how Chinese medicine can be incorporated into everyday life. General manager Chen Hui-chua said the new Chinese medicinal tourist factory is the third among 14 tourist factories in the municipality. The factory has its roots in a renowned and venerated Chinese medicinal brand that was better at making medicine than carrying out marketing, Chen said, adding that it was the city’s hope that the factory could help bridge tradition-steeped Chinese medicine with a health-conscious modern world. “Even if the tastes of Chinese medicine do not agree with everyone, we hope that healthy drinks and teas will eventually be embraced by the younger generation,” Chen said. The factory is divided into four sections, including a gallery illustrating the development of Chinese medicine over the past 5,000 years, as well as the personal stories of traditional Chinese medicine doctors of old, Chen added. “There is also an display that explains the process of making Chinese medicine and common concepts of when to use them” Chen said. “There is a section where tourists can experience what it felt like to be a traditional medicine doctor in the old days,” she said. “There is also a dining area, where people can try meals that incorporate Chinese medicines,” Chen added. The meals are a joint effort by the factory and the National Kaohsiung University of Hospitality and Tourism, she said. Can Chinese Herbs Be The Next Cancer Treatment? Traditional forms of medicine may offer hope for cancer. Experts from Cardiff University's School of Medicine have joined forces with Peking University in China to test the health benefits of a traditional Chinese medicine. The new treatments come from Chinese herbs used for liver, lung, colorectal cancers and osteosarcoma of the bones. "Traditional Chinese medicine where compounds are extracted from natural products or herbs has been practised for centuries in China, Korea, Japan and other countries in Asia," according to Professor Wen Jiang from Cardiff University's School of Medicine, who is the director of the Cardiff University-Peking University Joint Cancer Institute at Cardiff and led the research as part of a collaboration between Cardiff University and Peking University. The traditional Chinese herb formula consist of 14 herbs. The formula has been shown to be beneficial to cancer patients. The researchers have discovered how the formula work. Apparently it works by blocking a pathway which stops the spread of cancer cells in the body. "It suggests that combining the formula with conventional as well as new therapies could hold the key to developing new treatments for cancer patients. "We are already looking to clinical trials in treatment of lung and other cancer types." Funded by Cancer Research Wales and the Albert Hung Foundation – the results will be presented at the European Cancer Congress 2013 which takes place in Amsterdam between the 27th September and 1st October. Many people today turn to alternative medicine to deal with an array of health issues, including trouble with sleep, menopause, pms, lack of energy, weight loss…the list goes on. It is extremely important then that we know what we are putting in our bodies. All foods, including herbs have the potential to be dangerous if grown with heavy pesticide use. Pacific Herbs has been aware of this from the birth of our company…. 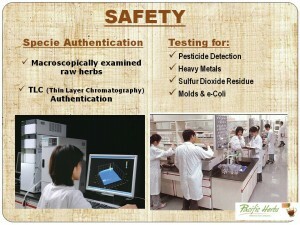 and that’s why we use the gold standard of testing to ensure the quality and safety of our herbs. Watch this short video explaining how you can learn if your herbs are safe. Ever Wonder Where Your Herbal Supplements Come From ? Have you ever you wondered where your herbal supplements really come from? Did you know that 95% of what you're buying at U.S. health food stores originated in China or was processed in China or India? Below is a section of one of the many emails I get nearly daily from companies who want to sell me their ingredients. As you can see much of it is written in Mandarin and there is no mistake the company selling these ingredients is based in China. When I inquired with them about testing of their products they, like so many companies have DO no testing on their raw materials or finished products. I said, "WHAT, NO TESTING?" Yup, that's right. No tests! That means if the farment used pesticides you will get pesticides in your herbal supplements. If you are concerned your supplements may contain heavy metal, pesticides, bacteria, E-Coli, and other contaminents you are right. They probably do! Get your products from a trusted source. Only buy from companies that produce COA's (Certificates of Analysis) and have lot numbers and expiration dates on their products. This is the only way to know you're not getting cheap ingredients produced at the cheapest prices without testing and without assurance that your herbal supplements and vitamins are truly safe. P.S. All Pacific Herbs products are produced with COA's, Lot numbers and have over 200 purity and potency tests before they are packaged into finished products. This is our company's hot-selling products recently Vitamin C- Ascorbic acid (from Tapioca Grade / Cassava) (corn), soy and green tea. We have best price and most favorable terms. Please contact me at numbers below. We ship directly.